Let you check out something that I am working on. It’s not officially launched yet, but the site is up. Thinking of the tagline, any idea? 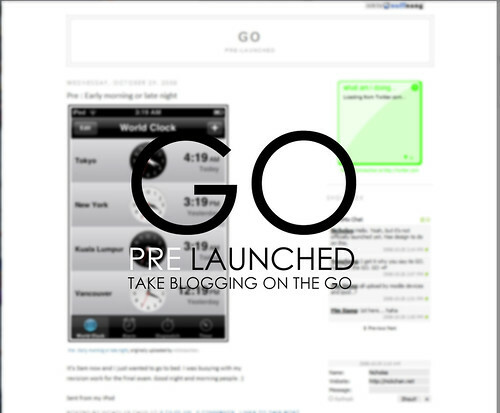 How about “Take blogging on the move”? Oh btw I linked you.